Yamaha have redesigned and reinvented the previous CSG model to present this new CSGIII. And, they have done a seriously good job! Assisted by top UK professional Michael Collins and other European Yamaha artists this new model oozes quality and is meticulously produced to the highest standards. Both the bell and barrel have been redesigned from the original CSG clarinet, these changes add more warmth and resonance to the instrument. The CSGIIIL also benefits from new sleeker key modelling, redesigned tonehole positions and design, and correct use of leather and cork pads at various points of the instrument. All these improvements add to the projection and feel of pro quality. 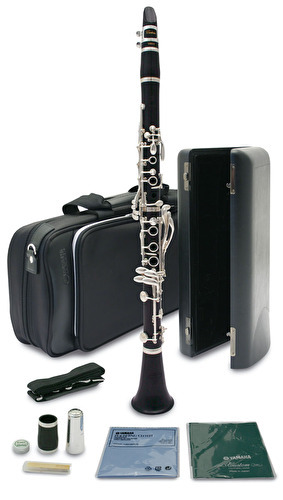 The L model also has the low E & F correction key that raises the pitch of the low E or F which are commonly a little flat due to the nature of clarinet bore design. This is especially useful when playing against a statically tuned instrument like a Piano. Lets be clear, the Pro market is dominated by Buffet, with the R13 outselling others by far. We genuinely believe this is the first clarinet at a similar price that could seriously beat an R13 on tone and projection, it goes without saying that the Yamaha build quality is also second to none.